The fire broke out inside the American Legion hall on Elizabeth Avenue in Newark at around 5:15 a.m. Thursday. 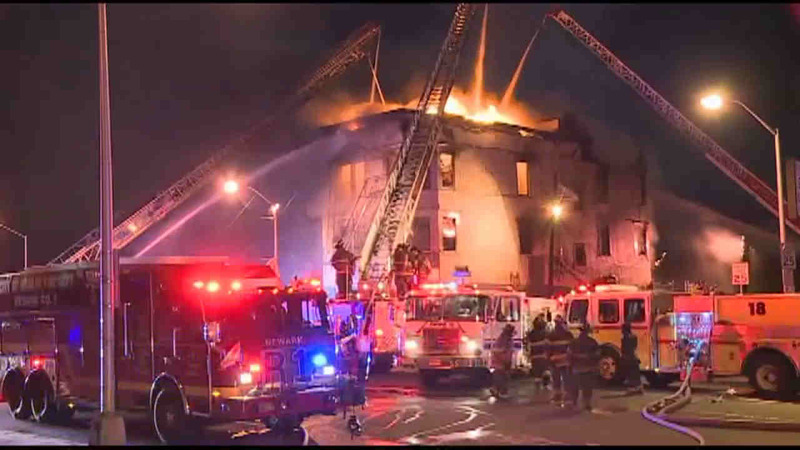 NEWARK, New Jersey (WABC) -- An American Legion hall in Newark was burning Thursday morning in a two-alarm fire. The fire broke out inside the Elizabeth Avenue building at around 5:15 a.m. It tore through the three-story building, which will likely have to be demolished.